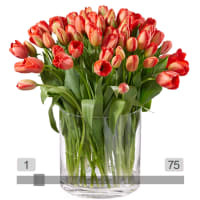 Did you know that the tulip is Switzerland's favourite spring flower? For centuries, people have been captivated, obsessed and even ruined by tulips. Little wonder, that there are few flowers as shrouded in legend as the tulip. What's your type of tulip? 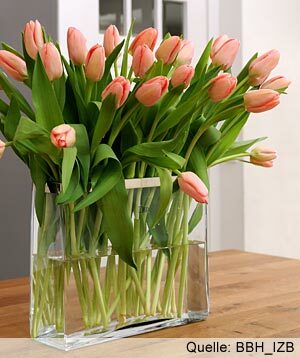 After roses, tulips are the biggest-selling cut flowers in the world. 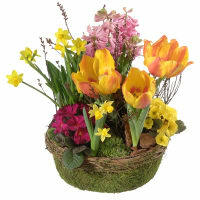 And you, too, chose them as the most popular spring flower in one of our surveys. We’re sure this has something to do with the fact that there is now an incredible number of varieties of this gorgeous species. The history of their name is just as gloriously colourful as the tulips themselves. In modern Turkey, these flowers are called “lale”. 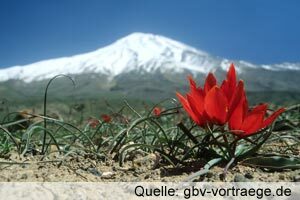 However, the Austrian ambassador in attendance at the court of the Turkish sultan in 1555 called them "tulipa" in a letter to Vienna. What had happened? It is presumed that it was a linguistic misunderstanding. The ambassador spoke no Turkish, and the diplomatic language of the time was French. He therefore worked with an interpreter. The latter had probably called the flower “tülbend-lalesi”, the term for it in the vernacular. 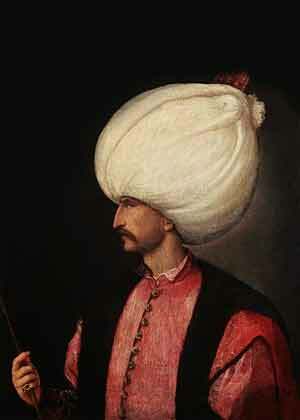 The Turkish turban, which bore a striking resemblance to our tulip, was known as a “tülband” in the Ottoman empire. 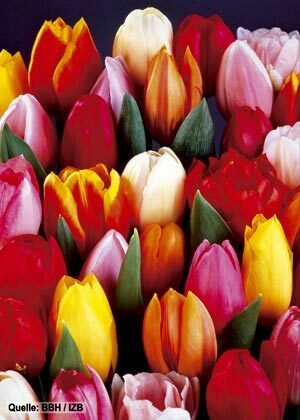 So the name “tulipa” (in English, “tulip”) came to Europe and was adopted by most of the languages we are familiar with. A propos “lale”: in the Turkish script of that era, the word is composed of the same letters as the name of Allah. 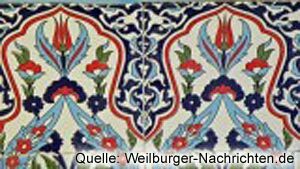 No wonder that the tulip frequently occurred in Ottoman art and was also used symbolically. 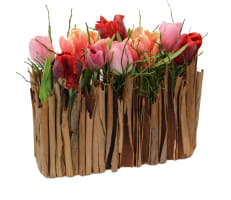 Care for some “turban flowers” or tulips? You'll find our tulip paradise HERE. 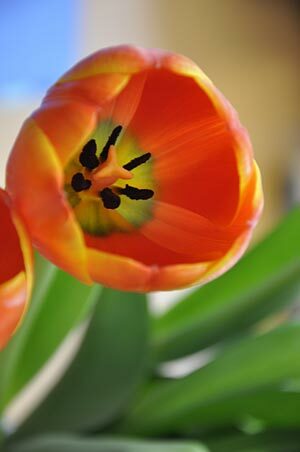 The tulip’s origin is also a mystery. 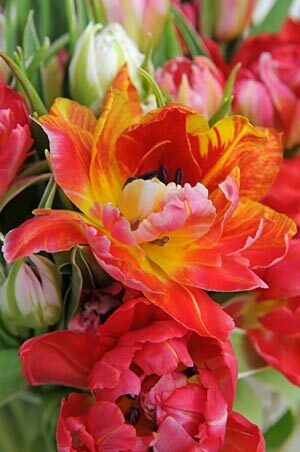 It is presumed to have come from Persia, the Black Sea area or the Balkans, where a wild variety of tulip was to be found. 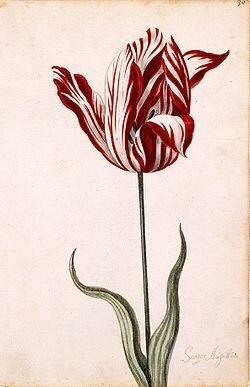 In the early 16th century, the wild tulip arrived in Constantinople, where it was cultivated and soon occupied an important place in gardens. Not until then did it also become well known in central and western Europe. It was originally planted in Leiden in the Netherlands for scientific purposes only, and its sale was prohibited. 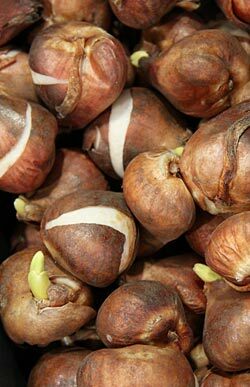 However, some bulbs were soon stolen, and the spring bloom reached the open market. The “miracle bulbs” then spread all over Europe. 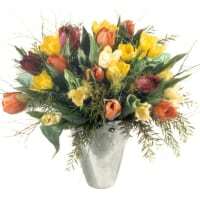 By the way: the high regard for tulips was often expressed in their names back then. For example, in the Netherlands many tulips had “Admiral” or “General” as part of their names, reflecting the highest social position. 17th century Turkey, in contrast, inclined towards the poetic. 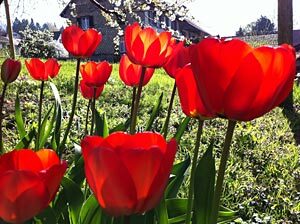 Exceptionally lovely tulips in that country were called “The one that sets my heart aflame", "Lucky star", "Light of contemplation" or "Face of the beloved". Wonderful! You'll find our suggestions HERE. 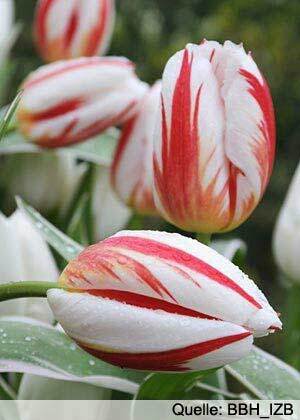 The tulip is one of the few flowers that constantly inspires enthusiasm. 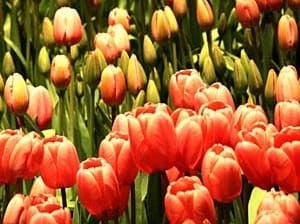 As soon as it came to Constantinople in the 16th century, it was admired so much that absolute tulip mania broke out. This was coupled with a brisk trade in tulip bulbs that drove prices sky high. The same happened some time later in the Netherlands. There, too, aristocrats and wealthy burghers were so enthralled by these spring blooms that they paid enormous prices for them. 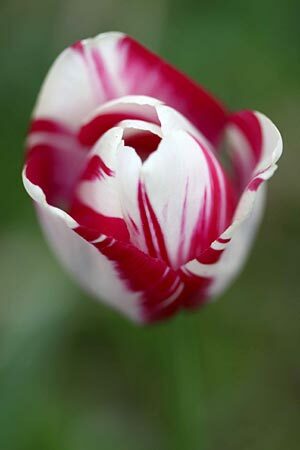 In 1637, for example, 30,000 guilders was paid for a bulb of the red and white striped “Semper Augustus” variety. And this was despite the fact that the average annual income was around 150 guilders and the most expensive canalside houses in Amsterdam cost around 10,000 guilders. Those who didn’t have enough cash sometimes paid in kind: it is said that a bulb of the “Viceroy” variety was once paid for with the following goods: 120 bushels of wheat, 240 bushels of rye, four fat oxen, eight fat swine, twelve fat sheep, two barrels of wine, four cart loads of beer, two barrels of butter, 1000 pounds of cheese, a bed, a suit of clothing and a silver drinking cup. We may well wonder what the household looked like AFTER this exchange (smile). Fortunately, our tulips aren’t that expensive! You'll find our shop HERE. Ever heard of a cabinet of curiosities? Such cabinets were once home to tulip bulbs and pictures of tulips. In the late Renaissance and Baroque periods, they contained collections made by princes and wealthy burghers. They presented a wide array of art works and rare and valuable objects such as the work of silversmiths and goldsmiths, stuffed animals, ostrich eggs, narwhal tusks, carved ivory, literature about alchemy and … tulip bulbs. 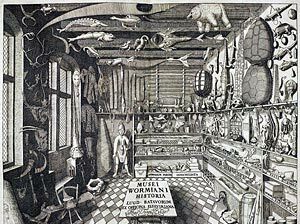 The Netherlands also had its cabinets of curiosities. In addition, exclusive circles of tulip connoisseurs were formed in honour of the tulip. They included learned men, educated and wealthy burghers and aristocrats. At that time, tulips weren’t just new, but also exotic, exclusive and exciting. And back then, a tulip on the lapel was the equivalent of today's Rolex on the wrist or designer handbag on the arm. In pursuit of their craze, tulip lovers created private gardens and visited one another to swap experiences and look at other people’s latest tulips. Tulip bulbs were exchanged … unfortunately, they were also stolen. Because tulips were precious and conferred prestige, sometimes – for especially beautiful specimens – people were prepared to go just a little bit too far. 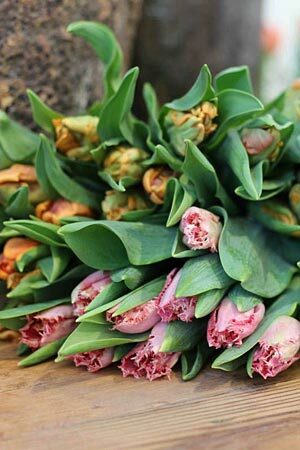 Our absolutely extraordinary tulips would easily have been admitted to a cabinet of curiosities. 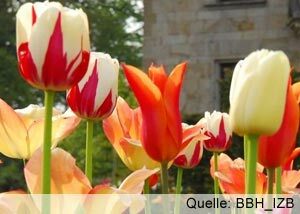 When Margrave Carl Wilhelm von Baden-Durlach founded his castle and the new city of “Carols Ruhe” (now Karlsruhe) in 1715, he had two great passions: women and flowers. So it is no wonder that a whole sea of flowers blossomed in his gardens … and that he entertained a whole army of attractive young girls at his court (144 names have been handed down to us). Officially, they worked as dancers and singers, but they also served at the Margrave’s table and as “female bodyguards”. But how did they become known as the “tulip maids”? 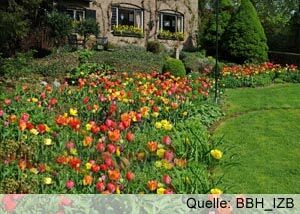 The fact is that the Margrave was particularly fond of tulips and his gardens were full of them. 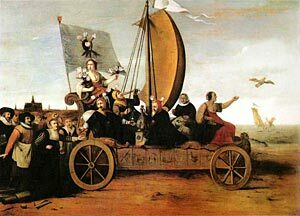 Naturally, he spent time there with his singers and jokingly called them “my tulip maids” when mentioning them to acquaintances. That’s how the name came about. And it might be supposed that it was all entirely innocent and that the young women really were “just” singers. Well, it might. If it weren’t for the proven fact that his court was home to a number of illegitimate children, all christened by the name of Carl or Carline. 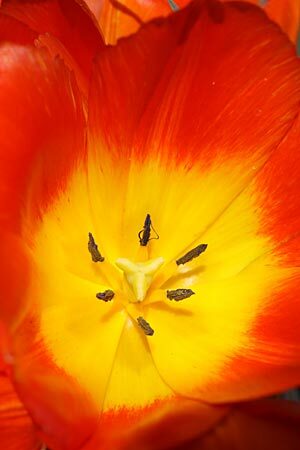 It's not just margraves and tulip maids that love tulips. We could make a few suggestions, see HERE. What’s your type of tulip? 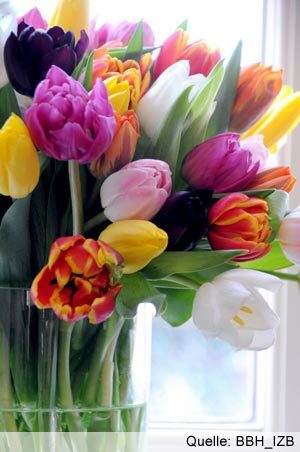 You are natural and like to keep things classic: you will probably like simple tulips that stand up straight in the vase. They are anything but plain and they get you in the mood for spring. 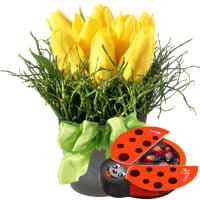 You enjoy being in the spotlight and like the richly decorative: in that case you may be drawn to double tulips, which people love for their magnificently luxuriant petals. 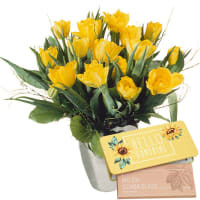 You like variety and take a zestful approach to life: the right choice for you may be flamboyant parrot tulips or elegant lily-flowered tulips, because they change in the vase with virtually every day that passes. 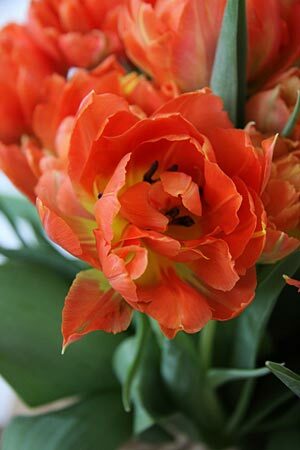 You’re a little bit funky and like to try new things: try double fringed tulips. 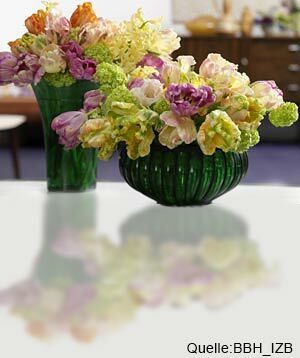 People love them for their luxuriance and the uniquely fringed petals that look as if they're trimmed with fine crystals of frost. Whatever your preference: You’ll find something on our website, HERE. 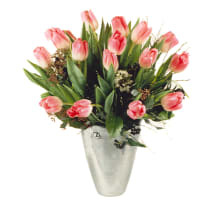 In florist's shops, tulips are always sold with the colour of the flower visible in the bud. Look out for that. Because obtaining beautiful blooms later on depends on it. Choose the coolest, most draught-free position possible. 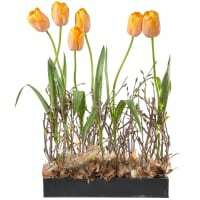 Tulips are capricious and have a life of their own. 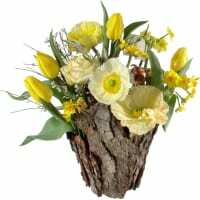 If you put a bouquet consisting only of tulips into a short, round vase, it encourages the tulips’ stems to bend attractively. 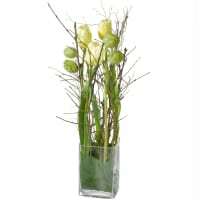 In tall, slim vases, on the other hand, the stems tend to remain straight. 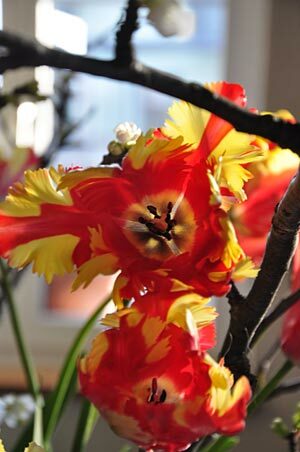 Parrot tulips never grow straight, regardless of the vase they are in. 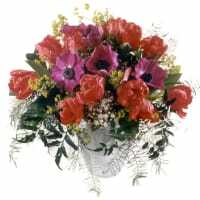 And now: how about colourful tulips or other spring blooms in wonderful shades of red, rose or pink?